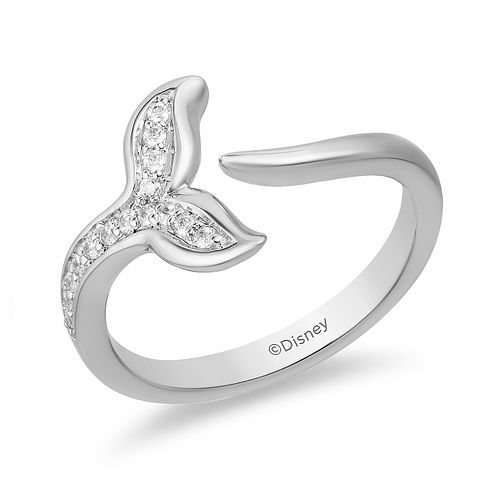 Inspired by The Little Mermaid, this dainty diamond Ariel ring is crafted from exquisite silver, in the quirky quintessential style of the mermaid tail. Decorated with dazzling set diamonds, totalling 1/10ct, this charismatic and captivating ring is set with Disney magic. Capture your own magical moment with this delightful diamond ring.